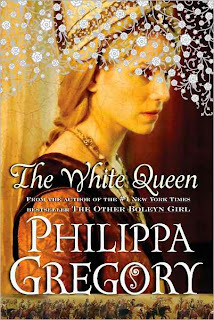 The White Queen is the first book in the Cousins' War trilogy by Philippa Gregory . Gregory is one of the best historical fiction writers in the genre and all of her novels are very, very good; my favorites being The Other Boleyn Girl (2001) and The Queen's Fool (2003). The White Queen is told from the point of view of Elizabeth Woodville-Grey -- beginning from the day the widowed beauty catches the eye of King Edward IV until the day her infamous sons disappear from the Tower of London. The story is a compact version of her life throughout these years while she stands dutifully and loyally by her husband throughout his reign. The White Queen also offers a unique theory on the unsolved mystery and disappearance of Elizabeth's sons Edward and Richard who are now famously known as the Princes in the Tower; which historians have been baffled by for hundreds of years now. What I like best about The White Queen is how this novel focuses specifically on details of the War of the Roses and the history surrounding it. The novel also focuses on Elizabeth Grey's duties as a queen and how she professionally handles her role; a fresh and welcoming change from reading about the hang-ups most queens have about their husband's infidelities. It's very nice not to get caught up in the romance and jealousy melodrama usually featured in Philippa Gregory's novels! The White Queen is an enjoyable read, but feels very rushed! The novel moves along very steadily at first but before too long, the chapters are spaced by months, and soon years apart. 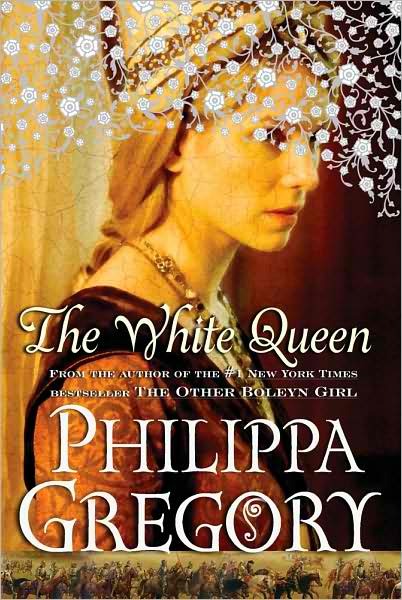 The White Queen is simply not as phenomenal as Philippa Gregory's previous work and at times feels as if the author is trying to cram too much content in one volume without taking her time. Although I am slightly disappointed in The White Queen , I am still devoted to Gregory and plan to read the next two books in the trilogy, The Red Queen (2010) and The Lady of the Rivers, which is not yet released but is due out this year (2011).